Disney During Potty Training…. Sounds like a terrible idea right? Seriously this is something I always dread. But it is one of those things I make to be so much worse in my mind then it actually is. Seriously. I have now taken one kid durring and just after potty training, and we took our twins at the start of potty training, and will be taking them again soon as they are still new to going potty like big boys. Think I am crazy? 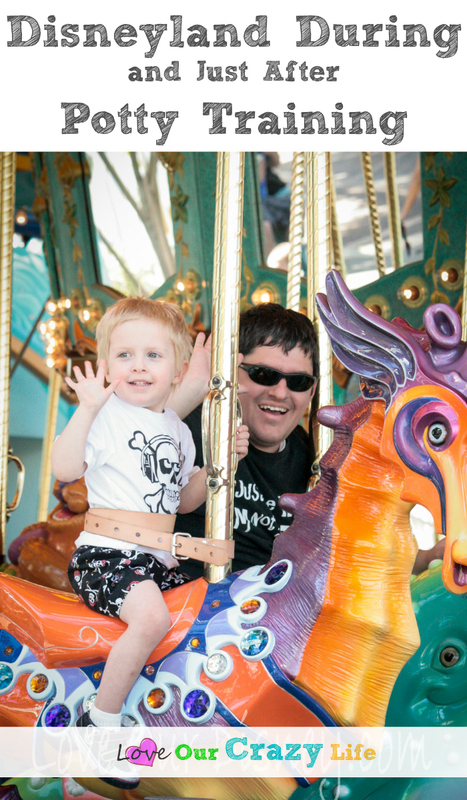 Well, maybe I am, but seriously, Disneyland with a potty training child does not have to scare you in to putting off your vacation, or putting off potty training. Trust me. It just takes some planning. 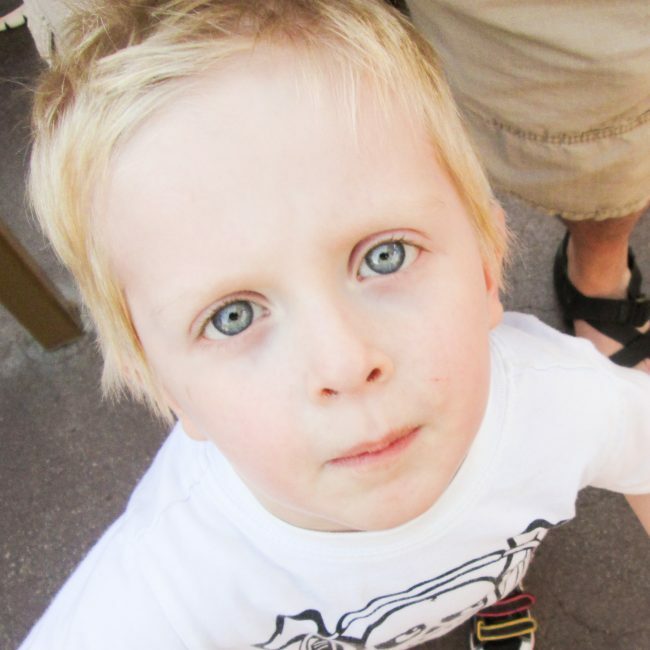 Should You Put Off A Trip To Disneyland For Potty Training? Disney takes a lot of planning with kids. I thought I planned a lot with a baby, and a toddler, I was wrong. Planning a trip with a newly potty-trained toddler has probably been the trip that took the most preparation yet. 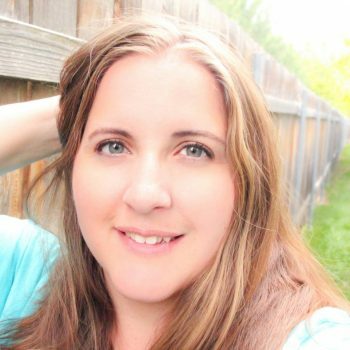 So here I am to help you learn from my mistakes, and my triumphs, and give you some tips on going to the parks with a toddler who doesn’t 100% have that potty thing down yet. This way you won’t have to put off your magical vacation based on potty training plans. Trust me, if I can do it, you can. I loathe potty training. The biggest tip to prepare for Disneyland during potty training is learn where all the bathrooms are and where the baby centers are. While I will share where the Baby Centers at Disneyland are in just a second, the Disneyland app is seriously your best friend for finding the closest bathroom. Note I said closest, and not least busy… I will help you with that in a moment too. The baby care centers have toddler size toilets in them and toddlers love them. Knowing where the closest (or 2 closest) bathrooms are at any given moment is key. If you are a parent you know when a potty training toddler says they need to go, it means they need to go soon. Most cannot hold it very long. Knowing where bathrooms are can also help you plan out your day, or at least your next few hours. Do a few rides that are on the way to a bathroom, have a potty break, and then continue on the rides that are after the bathroom. I mentioned above that you should know where the 2 closest bathrooms are, but where are the best bathrooms for Potty Training Kids at Disneyland? If you child is afraid of the automatic flushing toilets, or large toilets in general, the Baby Care Centers are going to be your best friend. You can find one in Disneyland on Main Street just before the Plaza Inn. In Disney California Adventure the Baby Care Center is between the entrance to Cars Land and Pacific Wharf, by the Ghiradelli Soda Fountain and Chocolate Shop. TIP: The Baby Care Centers sell diapers, formula, and other baby and toddler necessities as well. The problem with this option is that you will end up doing a lot of running back and forth. It can be a real hassle to run from Toontown to Main Street just to go potty. Family restrooms are another great option for those with potty training toddlers or preschoolers. Especially for moms of multiples or that need to bring another sibling in with them. You can locate family restrooms via the Disneyland app as well. Disneyana Restrooms – These restrooms are often overlooked for the ones next to City Hall. The Disneyana Restrooms are basically across from City Hall, down a path that goes to the right side of the Hall of Presidents building. I have never had a wait here. Ever. Carnation Cafe Restrooms – These restrooms are located about half-way down Main Street, behind the seating area for Carnation Cafe and as such, are often overlooked by the general public. 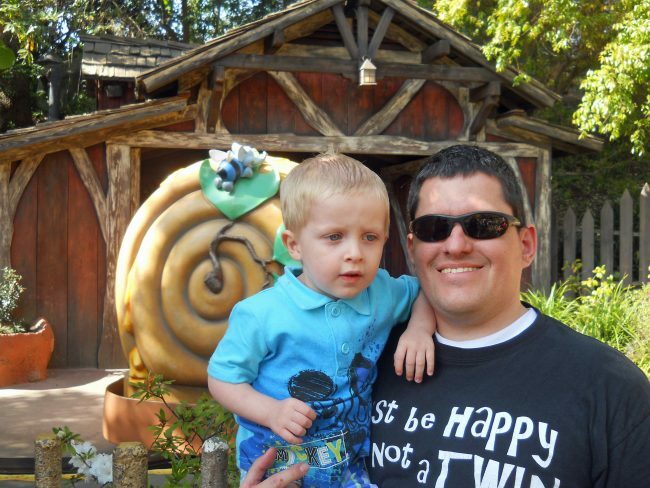 Tom Sawyer Island Restrooms – I mention these specifically because many parents are afraid to take their kids on Tom Sawyer Island while potty training because they worry about the bathroom situation. There are 2 restroom areas on Tom Sawyer Island. One is a companion/family restroom, but the other is a regular restroom. They are located on opposite ends of the Island. King & Queen Restrooms – To be honest, most of the bathrooms in Fantasyland see a fair amount of traffic. It is just a busy area. That is why I like the King & Queen Restrooms. They are around the corner from Alice in Wonderland, just out of the main area enough to be a little less busy. Honesty time, I find that there aren’t as many “hidden” bathrooms in California Adventure. That said, I do feel that many of the bathrooms in this park are able to handle larger crowds, so I guess it is a trade off right? Even though these bathrooms are probably well known, the ones below usually do not have too long a wait. Hollywood Boulevard Restrooms – These restrooms are someone hidden behind a wall, next to Disney Junior Dance Party, so I think they often get missed. That or people are using the ones at the entrance on Buena Vista Street. Either way, these large bathrooms rarely have a line. Pacific Whart Restrooms – These are specific to the time you are looking. In the morning, or mid-afternoon (non-peak dining hours) these restrooms are pretty empty. During peak dining hours, they do get pretty busy, but I still have yet to encounter a line more than a few people long. Paradise Garden Grill Restrooms – These restrooms are kind of nestled out of the way, so many people don’t make a point to stop there to use them. These are important to know about if you are eating in the Paradise Gardens Park area. Golden Vine Winery Restrooms – These are probably the only restrooms in DCA that I would consider “hidden” because most people do not know about them unless they are dining here. These bathrooms are small with only a few stalls but, in the morning hours especially, you will find them empty most of the time. Bring lots of back up clothes and ziploc/plastic bags. How many depends on how long your toddler has been potty training/trained. The Goof had not had accidents in months, and we brought 2 sets of backup clothing for the day and then his night time clothing. Lots of potty breaks! This one is pretty obvious, but it can be easy to forget to stop, even when you know you have a potty training toddler with you. 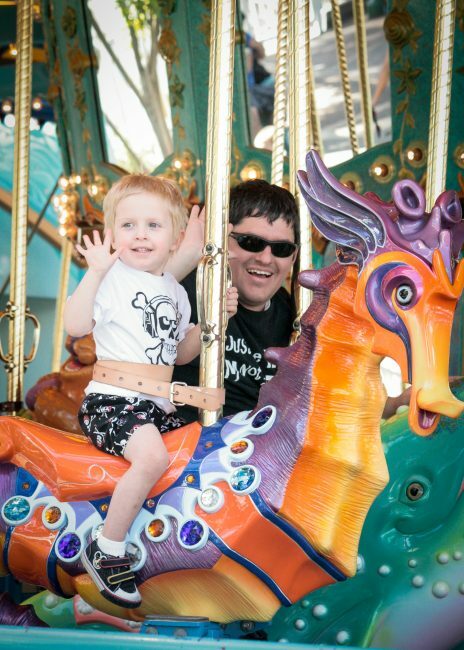 Depending on wait times, and what your toddlers ability to wait is, you will probably want to go potty every 3-4 rides (or at least once every 2 hours). Sticky notes can keep toilets from flushing. Disney has auto-flush toilets in most of the restrooms. Some children find this scary. A sticky note over the sensor will keep the toilet from flushing while the child is still on the toilet. Also great if your toddler doesn’t like the noise of the flush. You can use it so they have time to cover their ears before you let it flush. Consider training underwear. We never used pull-ups, etc. We used cloth trainers when we thought we might need a little extra something. Our cloth trainers had been packed up for a few months, but we got them out again for Disneyland. If your toddler is past the pull-up stage, but you want a little extra protection, consider getting Cloth Trainers. They don’t stop a huge accident, but they can help save the shorts/pants for a minor accident. Reward your child for accident-free days, asking to go potty, etc. If you used a reward system to potty train, consider bringing it back for the trip. If your child wants something from the parks, maybe make it a reward for no accidents one day. If your child asks to go potty, praise/thank them for letting you know. It doesn’t have to be anything huge, and you would be shocked how happy it makes them that you just acknowledged that they did a good job with going potty that day. It does not have to be something that costs money either. Your words, or maybe even letting them choose the last ride of the night. Be sure they stay hydrated. It is easy to try and limit your toddlers water intake because you want to avoid accidents when at Disney during potty training. Or maybe you just have a toddler that it takes a lot to get them to drink anyways (like ours). Either way, please be sure your child drinks plenty of fluids while in the parks. Even with us pushing a lot of fluids on the Goof, we are pretty sure he got a little dehydrated this last trip. And this tip is good for kids of all ages. Be sure they are drinking plenty of fluids, especially water. Piddle Pads! (affiliate link) I would suggest lining strollers and car seats with a piddle pad. Normally we don’t line our strollers, but we rented one for Disney, and even if we hadn’t rented, we would have lined our stroller. That way if there is an accident, at least the stroller isn’t wet. We had a lot of fun during our vacation, and while our son had a few accidents, he did extremely well in our opinion. Do you have any additional tips? Post them in the comments. 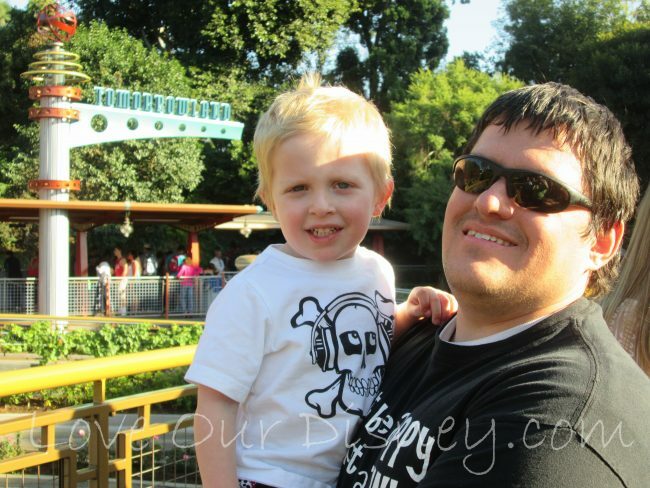 « How To Go To Disneyland for Cheap Next Year! we had a rule in disney – if one person has to go potty, everyone has to go. that way we don’t take one to the bathroom and have to head back again 20 minutes later for someone else!